Darwin James Kunane Barney is an American professional baseball infielder in the Los Angeles Dodgers organization. Previously, he played in MLB for the Chicago Cubs. 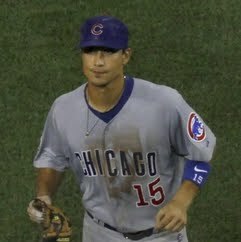 In 2012, he won both the Rawlings Gold Glove Award and the Fielding Bible Award in recognition of his defensive skills.